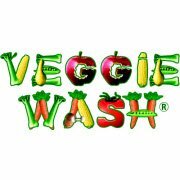 *Disclosure: I received product to sample from ­­­­­Rainier and Veggie Wash. All thoughts and opinions are my own. Today’s #appleweek recipe is sponsored by Rainier Fruits and they sent a whole box of amazing, delicious hone crisp apples! So delish! We ate most of the apples fresh for snacks (and some with some 4 Ingredient Honey Caramel Sauce!) 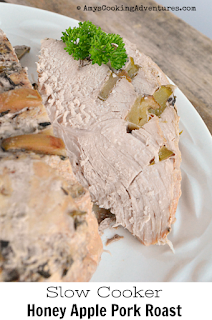 but one was recruited to elevate a pork roast from mundane to super delicious! Every year I vow to use my slow cooker more often and every year I wonder why I haven’t used it more often. So on back to school night, I decided to dust off the slow cooker and start out the school year right. And yup, I haven’t pulled it out again since. *sigh* I always forget to thaw the meat and end out slamming out a one skillet meal instead. Oh well, I can always start in October! Anyhow, back to the pork roast. 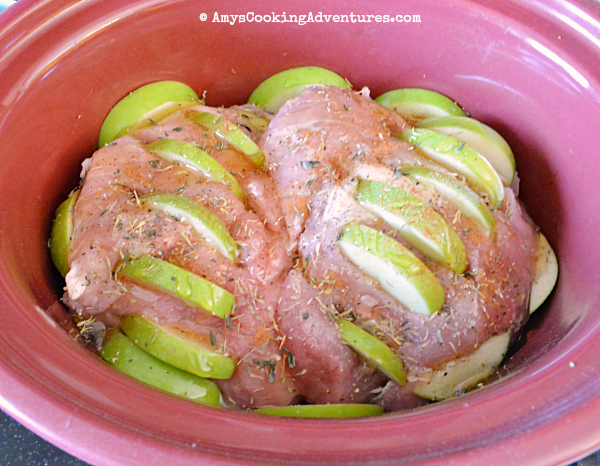 I absolutely loved the sweetness the honey and apples added to the pork roast. There is the little bit of cinnamon in the recipe that adds an oh so subtle hint of apple cider to the recipe. Amazing. The pork roast was amazing on its own and absolutely delicious on sandwiches with BBQ sauce left over! Don’t forget to enter the giveaway Below and see the awesome prize pack here. 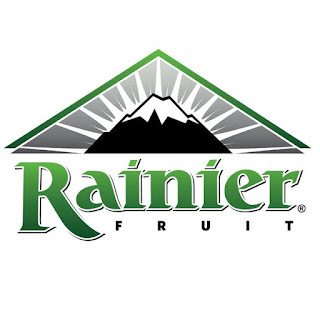 And give Rainier Fruit a shout out! Cut deep slits along the pork. Push an apple slice into each cut. 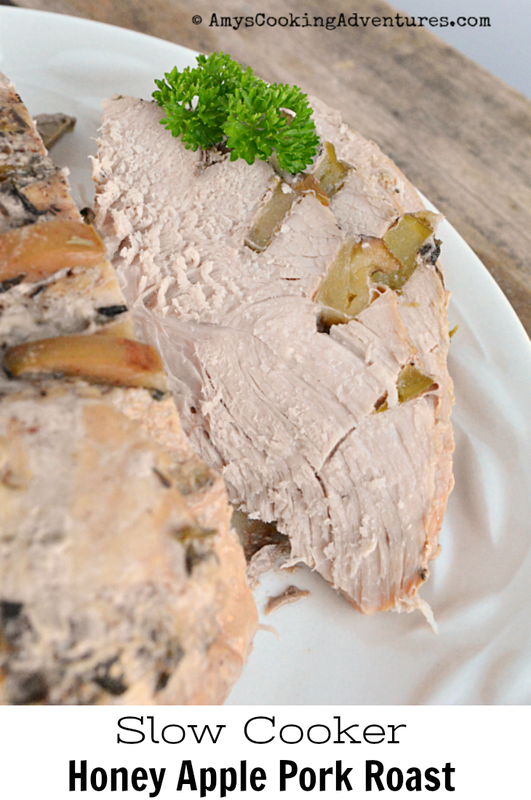 Place the roast into the slow cooker and sprinkle with cinnamon, thyme, salt, and pepper. Drizzle with honey. Pour chicken broth into the slow cooker. Cover and cook on low for 6-8 hours. 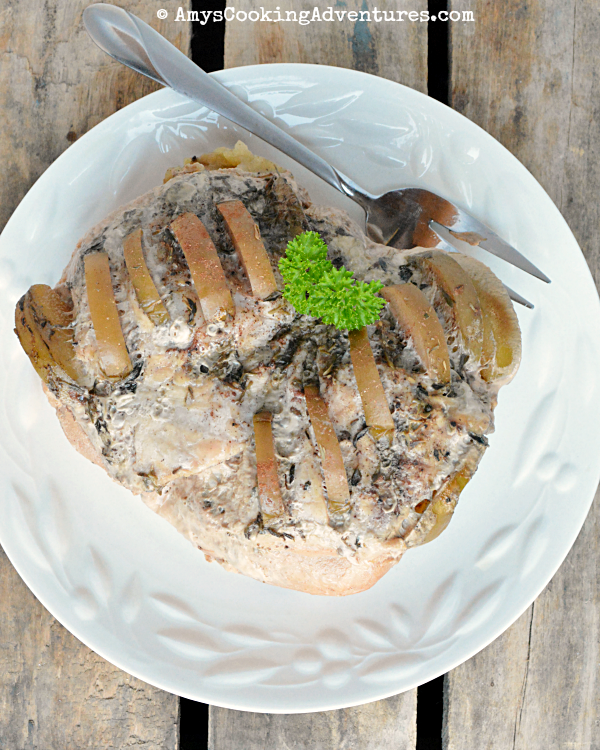 Place the onions at the bottom of the slow cooker.Cut deep slits along the pork. Push an apple slice into each cut. 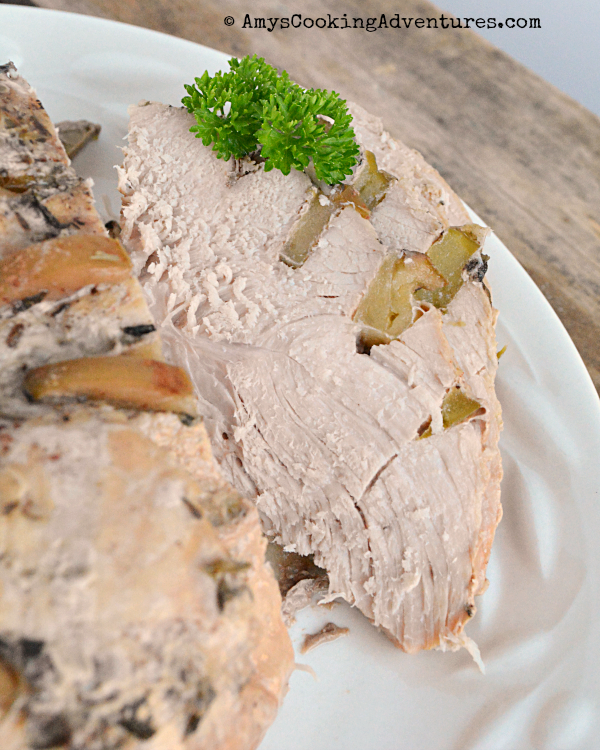 Place the roast into the slow cooker and sprinkle with cinnamon, thyme, salt, and pepper. Drizzle with honey. Pour chicken broth into the slow cooker. Cover and cook on low for 6-8 hours.Slice the pork and serve. I like homemade applesauce & apple crisp. 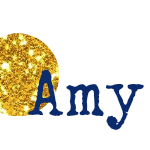 Your roast sounds amazing Amy....Try putting the frozen meat right into the crockpot with the rest of your ingredients. I think you will be pleasantly surprised. I love any crumb-topped apple pie (and apple crisp, and caramel apple bundt cake). It's hard to name one fave! What a delicious looking roast! Honey and apple is a great combination. I always think the same thing about my slow cooker. I don't know why I don't think to use it more! 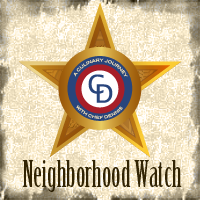 This looks like a great place to start!